Apple is said to be cooking up yet another new technology. According to recording artist and performer Neil Young, he has worked with the late Steve Jobs on an upcoming project that is set to improve the quality of digital downloads by great heights, including music. The company has plans to revolutionize digital music and produce music downloads with studio-quality characteristics. Make way for High Definition music. In one interview with All Things Digital, the musician discussed the present quality of digital music. MP3 seems to be the most popular type of download, which is just five percent of the bulk of data of its original studio recording. With the onset of high resolution television, Apple is set to make one of its high resolution digital tracks that will be at par with the original studio sound of any song. There are still a number of technical obstacles to achieve this, which includes downloading a relatively bigger file size than that of MP3 music. 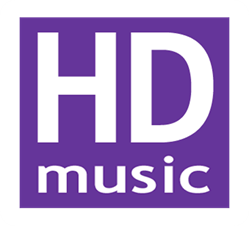 HD music downloads has an average speed download of 30 minutes a song, which is quite a long download time for some. The iPod is set to be compatible to download and play such HD songs and albums. Young did reveal that Steve Jobs and he were working on it but that not much resolution has been produced. Taking the side of Apple, the company declined to release an official statement right now on Mr. Young’s statements. According to CNN, Apple did plan to sell 24bit, high fidelity audio downloads and sell it at a premium price on iTunes last year. On other news, Warner did release an official statement during the recently concluded CES that the company is set to offer their own version of HD music.